Our main profile is the professional transport of music-, and theater groups and their equipment. Since 1998 we are trying to satisfy all the needs of a tour. Our team includes proficient sound engineers light technicians, stage roads, stagehands. 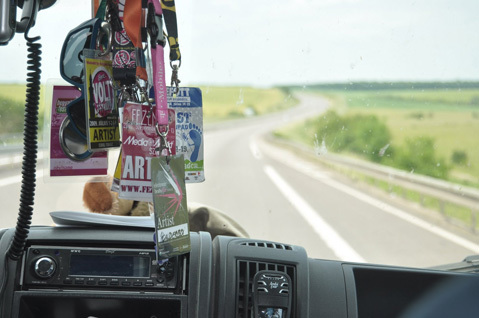 The drivers have been travelling all over Europe, the Balkans And the Baltic countries and they speak english. Please take look at our references, and you will be convinced.